I'm a collaborator at the Network Startup Resource Center (NSRC), an organization that supports ICANN in its technical capacity building activities around the world. Over the past decade we've had the pleasure of working alongside ICANN staff to deliver several trainings in multiple countries that focus on the Internet’s Domain Name System (DNS) and country code Top Level Domain (ccTLD) registry operations, and deployment of DNS Security Extensions (DNSSEC). This blog provides an overview of four recent trainings we helped organize: two in Nairobi, Kenya and in Helsinki, Finland, that focused on DNSSEC deployment, and two in London, United Kingdom and in Antananarivo, Madagascar, that addressed open source intelligence for law enforcement agencies (LEAs). The training in Nairobi was held in March and was organized at the request of KeNIC (Kenya Network Information Center) in cooperation with AfTLD (Africa Top Level Domain Organization). 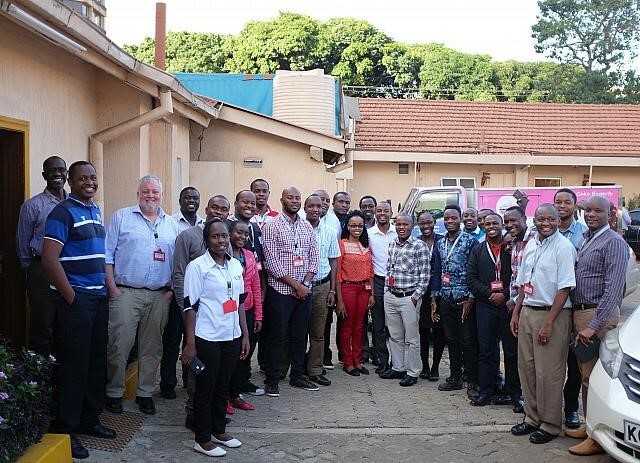 Twenty-five engineers and operators from the local Internet community participated, representing Internet service providers, Kenyan banks and government ministries, registrars, and universities. I taught this workshop with Joe Abley, former Director of DNS Operations at ICANN, and current contractor with the NSRC team. A motivated and enthusiastic group of participants posed many questions and took advantage of the hands-on labs designed by the NSRC as part of our training model and knowledge transfer techniques. It's always a pleasure to return to Nairobi, where I once lived. After the workshop, we followed up with a day of direct engineering assistance at the KeNIC Registry office, helping them advance their plans to sign zones under the Kenyan ccTLD registry. We also reviewed their current operational model, identified improvements, and provided guidance with their decision-making processes. The NSRC group continues to assist KeNIC remotely, further helping to improve their registry operations. The training session in Helsinki was held in May and was organized by ICANN in collaboration with the Finnish chapter of the Internet Society (ISOC FI) and the Finnish Information Security Association. This allowed us the opportunity to spend more time on understanding some of the finer points of global DNS and DNSSEC deployment considerations. The workshop was deemed a great success as expressed by one of the organizers, Juhani Juselius, who commented: “Thank you very much for the training! Content was really good and the training, thanks to Phil, was untypically interactive for Finns. Great training, thank you very much to you, NSRC, Phil and ICANN!” ISOC FI plans to organize a follow-up community education event in the near future with our joint support. Fun fact: one of the participants, a retired Nokia engineer, was the mentor of a young Linus Torvalds in the local Commodore VIC-20 computer club in Helsinki in the early 1980s! The training session in London, UK was held in March and focused on open source intelligence for LEA agencies, allowing for a deep dive into new territory for the NSRC. Also in London, I shadowed Dave Piscitello, then Vice President of Security and ICT Coordinator at ICANN, for a one-day training course in which I assisted him in training a group of LEA personnel at the 2018 International Communications Data and Digital Forensics (ICDDF) conference. 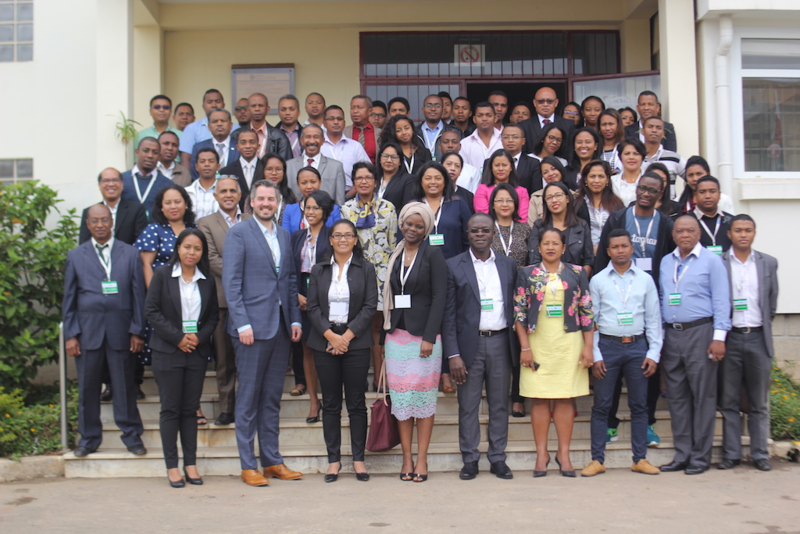 In April, I traveled to Antananarivo, Madagascar, with Yaovi Atohoun, Stakeholder Engagement and Operations Manager for Africa at ICANN. This two-day event educated LEA personnel about Internet operations and techniques for digital forensics. I'd expected to be talking to a room full of law enforcement agents, but most participants were judges, attorneys, and assistant magistrates – with little or no technical background. Using a whiteboard and many analogies, we were able to convey the general principles of how the Internet is built, and which institutions are responsible for the allocation of the resources in the naming and addressing systems. We spent the remaining time answering numerous questions and explaining the various methods used for taking down illegal content, once a warrant or Decision of Justice had been rendered. This was of great interest to the judges who were present and keen to understand the impact of their actions when ordering a website or a page to be closed. I believe all participants now have a better understanding of how the Internet works and will be able to make more informed decisions when ordering content to be taken down or blocked on the Internet. In the upcoming months, the NSRC has been asked by the ccTLD registries of Lesotho and Nigeria to deliver hands-on DNSSEC training courses for their respective Internet communities. NSRC training programs are lab-based and delivered on a Virtualized Training Platform (VTP) so participants can safely simulate what ccTLD registry operators need to do in real life when deploying DNSSEC. Additional requests for assistance from ccTLD registries elsewhere in Africa and Asia have been submitted to ICANN, NSRC, and regional TLD partner organizations. The important work in the field to further improve the security, stability, and reliability of the Internet identifier system is possible thanks to ICANN's support and staff contributions. The mission of the NSRC is to help build networks that connect people. We’re happy to be working with ICANN as we continue on this journey to expand shared global infrastructure and new services. Special thanks to Joe Abley, Adiel Akplogan, Yaovi Atohoun, David Conrad, Patrick Jones, Barrack Otieno, Dave Piscitello, Gabriella Schittek, NSRC colleagues, and anyone else I've forgotten!